Just out of curiosity, I went on the internet to see what a homeowner might find if they were looking there for a home inspector. I found a few. I also found just about as many ads for how to become one. We all know that’s how you become a qualified professional—on the internet!! That shouldn’t surprise anyone. The truth is, the home inspection industry in Canada is unregulated. Anyone can take a weekend course (or go on the internet) and start inspecting houses. Got a ladder, a flashlight, a clipboard and a business card? You too can be a Home Inspector! A house is the biggest investment most people ever make in their lives—and it doesn’t come with a money-back guarantee. Is your dream home purchase going to turn into a nightmare? The best way to prevent that is to have a home inspection—hire an expert to go through your home to make sure it’s safe, it’s solid, and it’s worth every penny you’re paying for it. But what if that home inspector doesn’t know what he’s doing? What if he misses some serious—and expensive—problems that you don’t have the money to fix? The sad truth is, there’s not much you can do. There’s not much recourse if you find the home you purchased has problems that the inspector should have found—no matter how huge or expensive they might be. All you can do is sue for the amount you paid for the inspection—a few hundred dollars. 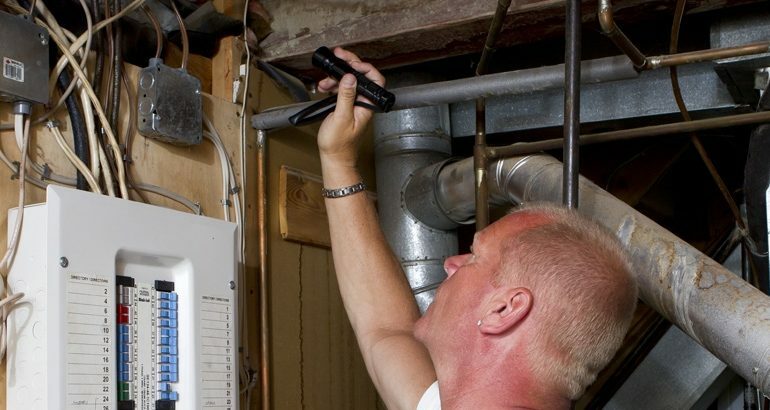 Currently there’s no national licensing and no federal regulations for home inspectors. The industry is ‘self-regulated’ by various provincial organizations for professional home inspectors. And, since membership in these associations is voluntary, many people—home inspectors included—feel that membership is really just a marketing effort. Each province has a provincial association, with standards that have to be met by all members. Those standards aren’t the same across the country. And, there are several regional and national associations, not all of which have the same qualifications required to call themselves member…what’s a consumer supposed to do? On March 31, 2009 the Solicitor General of BC announced that all home and property inspectors in that province must be licensed. It’s the first province to offer any kind of consumer protection that helps protect homebuyers. It’s a step in the right direction but it’s not much. And shouldn’t all homeowners have the same protection? No other province has any requirement. No other government body exists at the federal, provincial or municipal level to protect homeowners from bad home inspectors. Why not? Who’s looking out for you? In BC, to get a license inspectors need to be members of a professional association and have a criminal check and liability insurance, which is great. Most good inspectors welcome this registration, because they want their industry cleaned up. They’d like nothing better than getting the bad, unqualified inspectors—the ‘cowboys’–out of it. But, it also might give the public a false sense of security. Many home inspectors, both good and bad, already belong to associations, and the inspectors still make mistakes. Homeowners still don’t have any real protection if they buy a house that has major problems the inspector didn’t notice or report. In a house purchase every step is regulated in some way by government. Everyone is licensed: the real estate brokers and agents who sell houses, the banks who lend money, the lawyers who oversee the land transfer, the insurers who cover the house, but not home inspectors. That makes no sense to me. The bank will lend money—sometimes lots of money—for a house purchase, based on the buyer’s ability to pay it back. That house purchase might be based on an inspection by an unlicensed, unregulated individual. And that house might be a disaster waiting to happen. One that’s not worth a fraction of the money it sold for. What sense does that make? But home inspections aren’t mandatory in a real estate transaction, just like there’s no mandatory certification or legislated requirement for all inspectors to take courses, pass exams, update their knowledge of house systems, even to understand building code compliance. None. People tend to use home inspectors when buying older homes—assuming a house 10 years or less in age won’t have any major problems…yet. I can’t argue that an old home will likely have problems, but don’t assume a new house won’t. Probably every home has deficiencies—likely some serious ones that could mean health and safety issues for your family. Some buyers still think they can use the experience of their family members in place of professional home inspectors. I don’t know if Dad–even if he’s bought houses and owned houses for years–would have the expertise to identify real problems that might be hiding in the house you want to buy. Would he know: If the home was ever a grow op? If there was ever a fire in the home? If there are any structural problems? If the plumbing pipes are galvanized or copper? What about knob and tube wiring? Did any earlier renovations compromise the structure of the home? Were there any building permits pulled on the house in the past for renovations—that’ll tell you if they were inspected. Does the house you want to buy look good? Really good? Then maybe it’s a flip—and maybe those cosmetic renovations have covered up serious problems. Maybe they’ve even created some serious problems that you wouldn’t ever suspect. Would Dad know that? Be present for your home inspection. This is your first chance to learn about your home, first hand. Ask questions and listen to the answers. Especially if it’s bad news. Many homebuyers don’t really want to hear the truth because they’ve already fallen in love with the house. It’s like dating—you need to listen if your best friend tells you to run. Don’t marry it. READ the report!! Make sure you read it thoroughly and understand everything the inspector is telling you about your house and its condition. Can I see your license/professional credentials and proof of insurance? How many inspections have you personally done? What qualifications do you have? What kind of training do you have? Are you a member of a professional organization? What’s your background—construction? Engineering? Plumbing? What kind of tools do you use in your inspection? Do you take pictures of the house and add them to your report? Can I see some references? Make sure you ask for them, and check them.